Charlotte, NC – April 21, 2017 – ATCO Properties & Management, the developer of Camp North End, announced today that Charlotte-based co-working company Hygge (pronounced hoo-gah) will open a brand-new location at the complex. When it officially opens in summer 2017, it will be Hygge’s first location in the North End and third overall in the City of Charlotte. 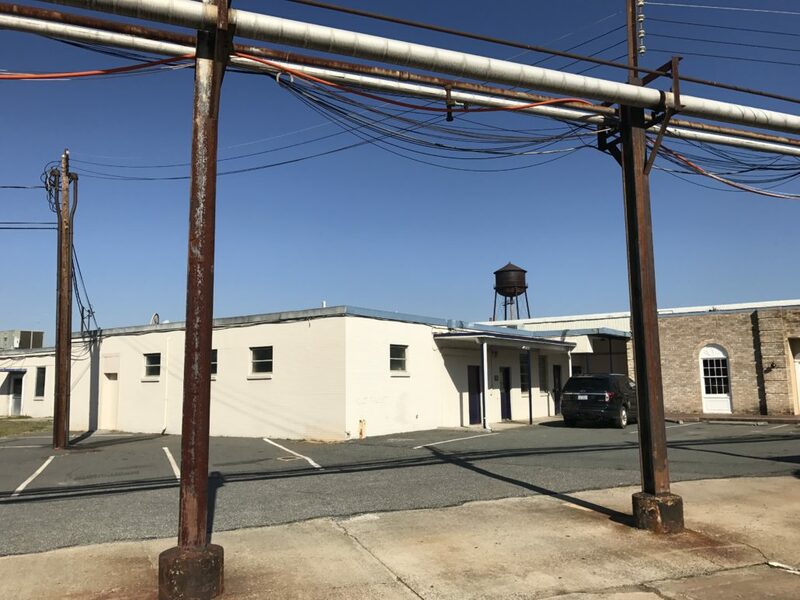 Hygge’s new lease encompasses approximately 10,000 square feet of ground-floor space at 1776 Statesville Avenue, which was formerly occupied by the Rite Aid distribution center. In a nod to the company’s Danish name (which translates to being comfortable), the new space – inspired by the Scandinavian style of coziness and warmth – will be designed by longtime partner and collaborator, Tamara LaValla of BatchCraft, which also designed the original Hygge locations in the Third Ward and West Charlotte. According to Garrett Tichy, the owner of Hygge, Hygge North End will feature 20+ offices and amenities such as meeting space, wi-fi and locally roasted coffee from HEX Coffee. The company plans to roll out several special programs for residents and visitors after the official grand opening, including offering complimentary space for Charlotte-Mecklenburg school teachers; working with neighborhood associations to provide free space for groups to meet; and providing membership specials for North End residents and for nonprofit organizations that serve the area. The new lease for Hygge comes closely on the heels of ATCO’s newly announced partnerships with Junior Achievement of Central Carolinas (JACC) and Goodyear Arts at the complex. Totaling 75 acres overall, the Camp North End site encompasses the industrial building at 1701 North Graham Street together with Hercules Industrial Park, located at 1801 Statesville Avenue, 901 Woodward Street, and 921 Woodward Street, as well as the 34-acre former distribution center of Rite Aid Corporation at 1776 Statesville Avenue. Currently, ATCO is planning for adaptive reuse of the buildings to allow a mix of commercial uses, including office, retail and residential. The Camp North End site was first partially developed in 1924, when Henry Ford hired Albert Kahn to design and build a large factory where Model Ts were built. During WWII, the site was more fully built out by the U.S. Army as a quartermaster depot that provisioned Army facilities across the eastern United States. During the Cold War, the site was used to assemble Hercules and Nike missiles, when it was known as the Charlotte Area Munitions Plant, or CAMP. ATCO is a real estate investment and ownership platform deploying capital in select cities across the United States, with a particular emphasis on value-add opportunities in urban locations. We seek to improve people’s lives by creating places that they genuinely want to work, play, or live, and by doing our work with a long-term perspective. Through eight decades and four generations, ATCO has owned, managed, and developed a diverse real estate portfolio, primarily in and around New York City and also in select markets we target. ATCO presently owns and manages more than 20 buildings ranging from high-rise office and residential towers to retail properties, from one-story industrial structures to high tech flex buildings. The portfolio of New York City properties includes: 555 Fifth Avenue, 40 Central Park South, 41 West 58th Street, 630 Third Avenue, 381 and 373 Park Avenue South, 515 Madison Avenue and the Atlas Terminals. Nationally, the company owns properties in Austin, Texas; Chapel Hill, North Carolina; Indianapolis, Indiana; Darien, Stamford and Westport, Connecticut; Baltimore, Maryland; and Orlando, Florida. Internationally, ATCO has investments in seven European countries.